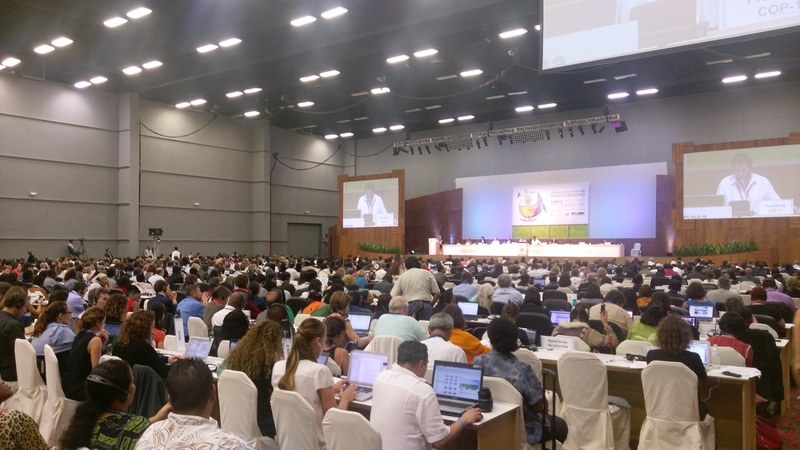 The primary participants in CBD, ABS, and Cartagena Protocol negotiations are the government delegates from the countries that are signed Parties, i.e. the members of COP-13, COP-MOP8, and COP-MOP2. These participants are known as “Parties”. Significantly, the US has not signed these agreements, thus is not a Party. However US governmental officials do attend, and have considerable influence over the deliberations. Business and industry also enjoy Observer status in the CBD negotiations,though their participation is often represented through their proponents in UN agencies, large international development associations, non-profit scientific research institutes, university students, and even Party delegates. The CBD Alliance is a loose network for civil society to organize and strategize on participation and implementation of the CBD, recognizing that the work of civil society is critical for biodiversity. Each morning the CBD Alliance meets before the plenary sessions of COP-13 and the COP-MOPs. In the meetings, there is discussion on the agenda items groups are following, report-backs on negotiations and side-events, and proposals for meetings to organize positions and statements. CAGJ/AGRA Watch is actively participating in this space with our African partners and other allies, both new and long-standing. 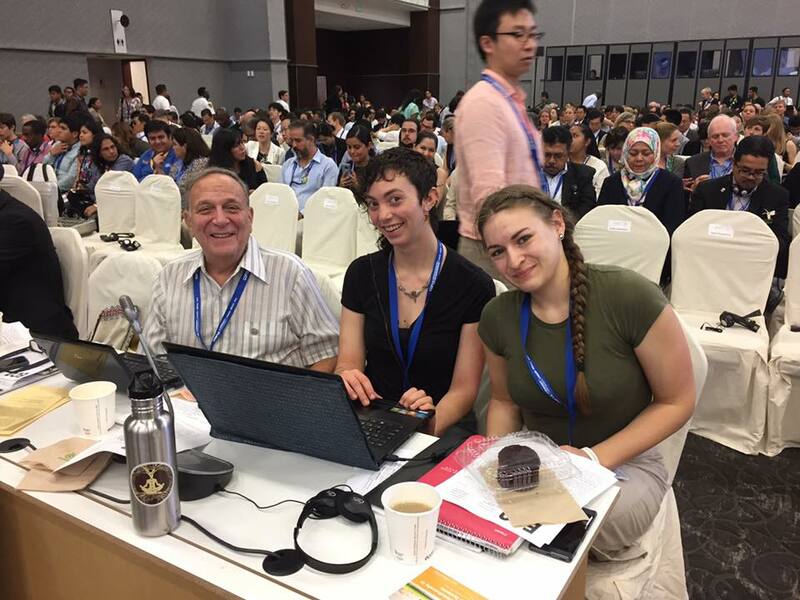 Participants are encouraged to share notes through a common platform and contribute submissions to the ECO Newsletter, distributed to delegates each day. On Wednesday, AGRA Watch member Phil Bereano had an article featured in the ECO Newsletter: When Dollar Signs Grow on Bushes. Opening Plenary session of the CBD, with the president of the CBD speaking. 3) Items needing to be re-considered in light of intersessional work or updated information, or items not previously addressed. Therefore, decision-making is a multi-level nested process: Plenary, Working Groups, Contact Groups, “Friends of the Chair”. Observers can participate in Plenary sessions and Working Groups openly, in Contact Groups with permission, but are barred – as are most Parties – from the “Friends of the Chair” meetings. At the end of the Conference, on December 17, decisions made in Working Groups and Contact Groups will be debated, may be amended, and will likely be adopted. Side events are an important educational and lobbying aspect of COP-13 and COP-MOPs negotiations. Organized before and after the Working Group meetings each day, they are spaces for Party delegates as well as civil society and industry groups to present their positions on issues related to CBD and subsidiary protocols. Side events aim to influence attendees to promote a particular position on an agenda item, report-back on progress taken in the CBD and protocols, and present information that highlights major concerns with items under debate in negotiations. Participants on both sides of a contentious issue will attend their opponent’s side events in an effort to ask challenging questions or gain information and perspective. CAGJ/AGRA Watch is co-hosting a side event on Friday on the Gates Foundation and Philanthrocapitalism, which we expect to draw a crowd of pro-Gates supporters. Part of our strategy is to attend the industry side events in order to understand their arguments and thus be able to artfully fight back for the rights of farmers and for public health concerns. Another important element of the Conference is the face-to-face interaction and conversation passing by in the corridors, lobbies, display areas, dining areas, open meeting rooms, etc. This is where opportunities for networking as well as talking with delegates and representatives for and against (or undecided) on an issue can take place, and potentially influence decision-making. This is also where colleagues can confer and strategize, and also connect and debrief as the long Conference can be quite exhausting. 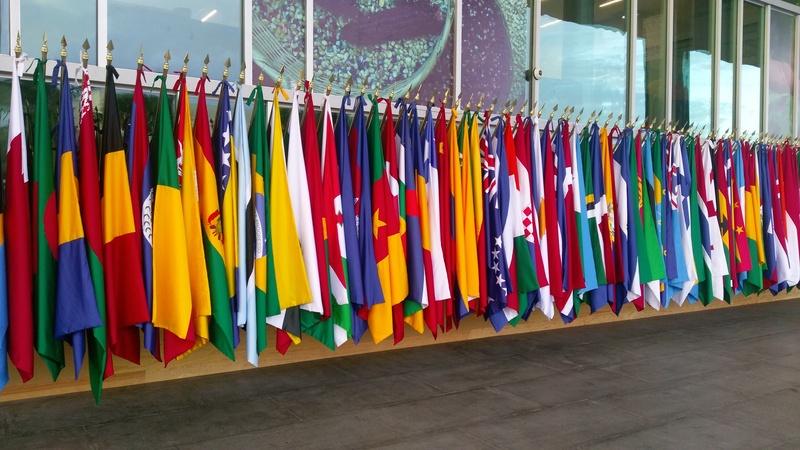 Some of the country flags displayed outside the main entrance of the negotiations. Posted in biodiversity, biopiracy, biosafety, biotech and tagged AGRA Watch.